The search has started to find the successful bidder to construct Birmingham’s HS2 Curzon Street station. 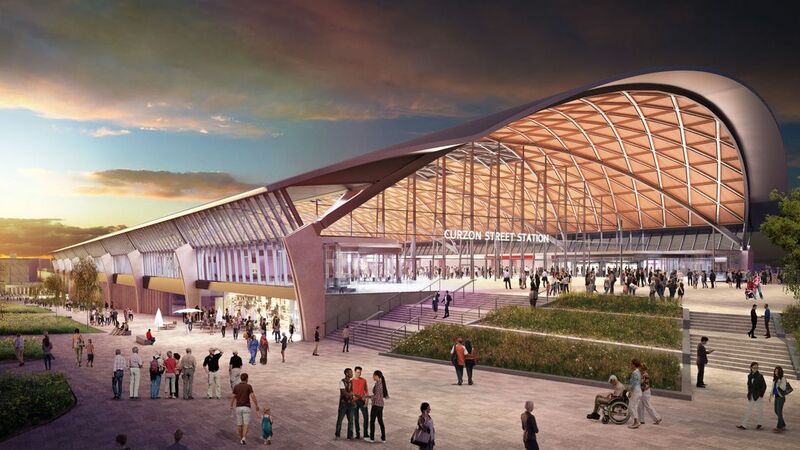 Curzon Street is due to open with seven high speed platforms in 2026 and is set to be the first new intercity station built in Britain since the 19th century. Images of the proposed station were released last month after WSP and Grimshaw Architects were awarded contracts for design. Pictures gave commuters a first glimpse at what to expect at Curzon Street in the city centre and the interchange station in Solihull as plans were displayed in Birmingham Library. The new station will not only be for high speed rail passengers, it will be a brand new public space in the city centre. It will also have pedestrian, cycle, taxi and bus connections to the city and wider West Midlands. Works are said to be well underway on 60 sites across the route from London to Birmingham, with over 7,000 jobs supported by the programme across the country. At the end of September, construction workers moved into the site of the Old Curzon Street station to start preparing the ground for eventual construction.